Time moves clockwise. But there are things that remain, like the pointers of the clock. 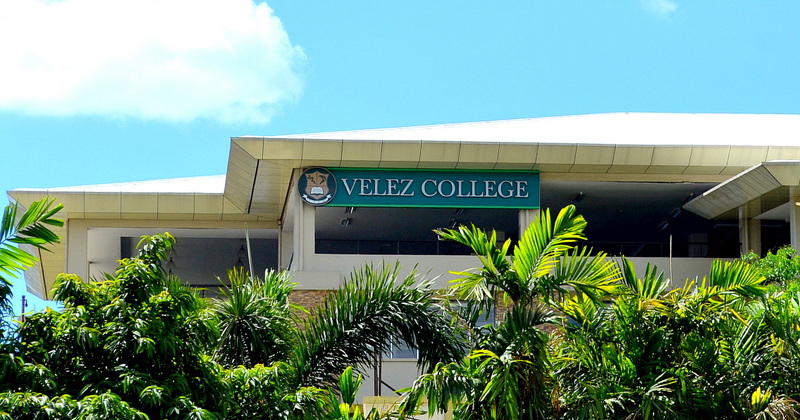 Velez College is gifted with another academic year to produce world class graduates. As the school year opened last June, the institution welcomed the students with the same best of the best quality education and a handful of surprising improvements within its premises. Velez once again opens her door to the fresh faces of the freshmen. This year’s bunch of freshies is certainly hip and fun. Everyone looks forward to the development of these freshies from guinea pigs to scientists. With the application of the new I.D sling and improved facilities, this year’s freshmen are certainly fortunate to have a good start in college. The freshmen aren’t the only new faces in the Velezian community. A number of new teachers are here to mold the students to become the best. These teachers make up the spine of the quality of education in Velez College. The knowledge and expertise they impart to the students are the foundation of the future professionals who can make a change in this world. Although students may look at their teachers as metaphorical monsters, only these monsters can make the students the best fighter. So no matter how difficult their exams can be, a true Velezian is grateful for the mentors who gave their time, effort and knowledge in the academe. Studying in Velez isn’t always a battle. This is still a college, the melting pot of a generation of youths. The Student Body has prepared many activities for student to enjoy their college lives. Acquaintance Parties are traditions that shall never be forsaken at the opening of the year. Intramurals is lurking in the corner, which all students enthusiastically look forward to. All teams are full in practice waiting for that one week in a year where they can play. Founder’s Day shouldn’t be forgotten as well. A new reign will take over once Mr. and Ms. Velez 2014 takes the stage. A sense of belonging can never be ignored. This year in Velez, student organization are more active and present than ever. Study isn’t the only development in this institution. The interests, talents and skills are also honed in the different organizations that are open to all bonafide Velezian students. The improvements within the premises of the school provide the students a more conducive space for learning. Students now have more places to sit around the campus. The facilities are further within reach for the benefits of the students. Systematic processes are now refined. All of these were possible through the hard work of every Velezian, student or not. A lot of things will be happening this year. In each and every life of the students, events will come that would be forever engraved in the memories. The clock never ceases to move leaving the time that passed in the past forever. But just like the pointer that remains constant, Velez College and the people behind her will remain in the years to come.